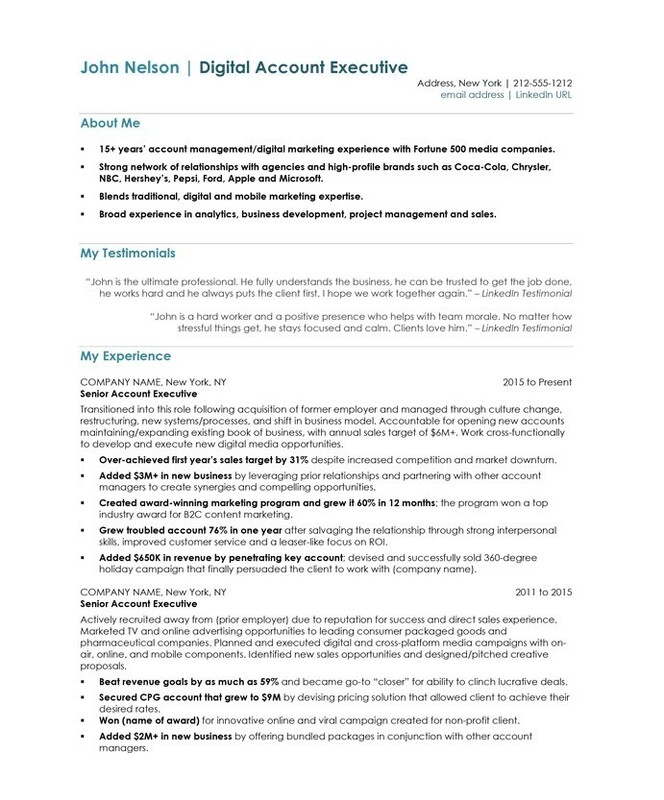 This account executive resume sample demonstrates the importance of focusing on the things that matter to your target employers. 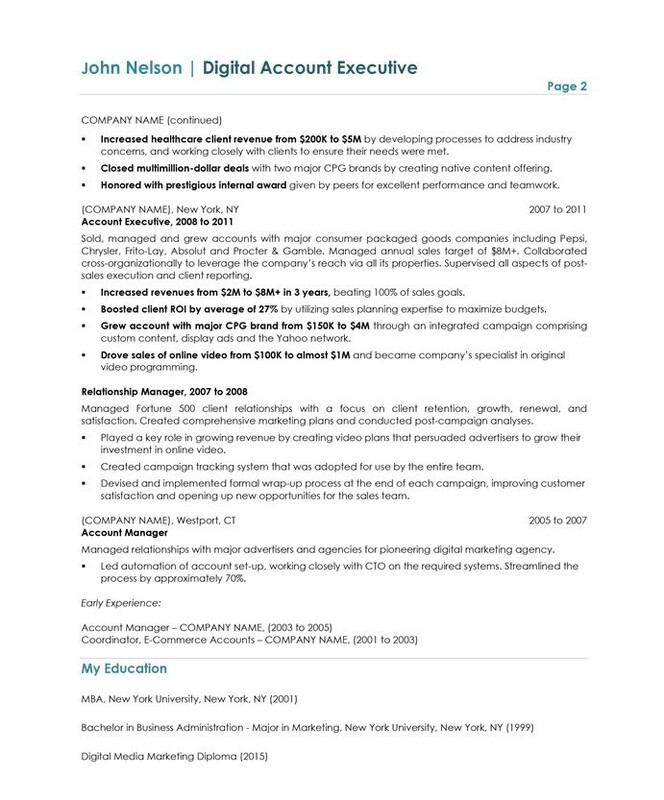 This client was seeking a senior digital account executive role, so we started with an introduction designed to appeal to his target audience. We emphasize his account management experience, his network of contacts within top brands, and the fact that he had both online and offline experience. We also used two of his LinkedIn quotes to strengthen the messaging. Quotes form others always make an impact – but LinkedIn testimonials are especially powerful because they can be verified. Finally, note how we bolded results – in account management, numbers are very important. That’s why each bullet point leads with the financial impact, and why that financial impact is always bolded. This way, we can be sure that managers won’t miss the impact John has made.